It’s cold and rainy outside — what better time to bundle up your family and dive into a belly-warming bowl (or plate) of noodles? From DIY noodle bowls to spicy new spins on phad Thai to Italian dishes carb-crazy kids will love, noodles are both a culinary adventure and as kid-friendly as can be. Here are eight slurp-worthy spots to try around Seattle and the Eastside. Play with fire! 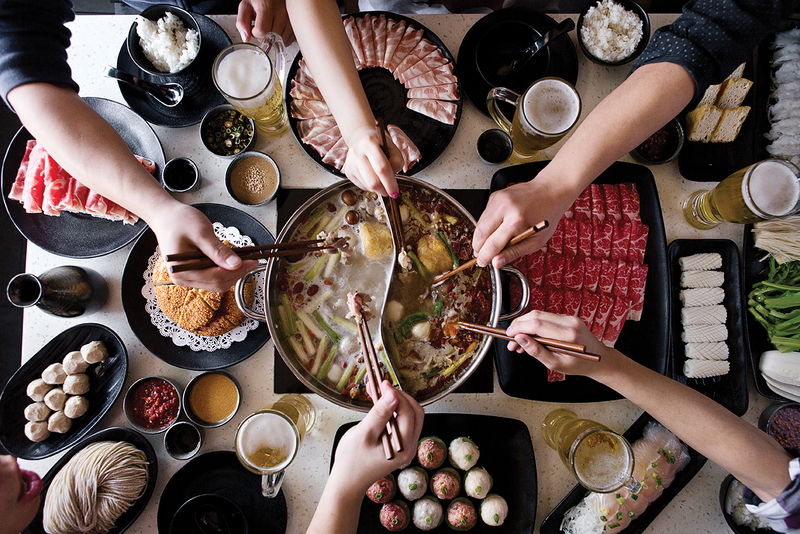 At the bustling Little Sheep Mongolian Hot Pot eateries in the International District and in Bellevue, diners create their own perfect noodle bowl by tossing dozens of ingredients into bubbling broths right at their table — from the simple (corn) to the adventurous (pork blood rice cakes). Choose from glass noodles, yam noodles, fresh egg noodles, fresh thick noodles, wide potato noodles and dumplings. The beauty of it is the customization: A picky kid could do just noodles in their broth, while others might experiment with exotic add-ons. 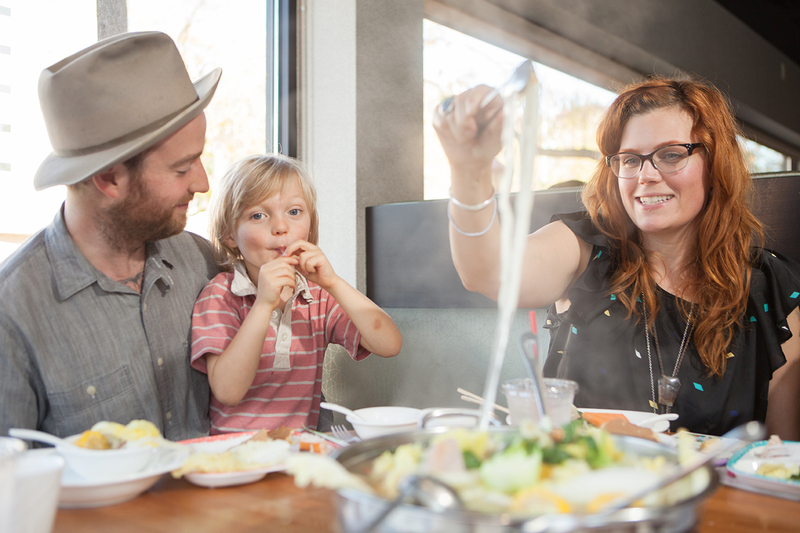 Note: Because of the hot burner at the table, this experience is best for older kids. Happy-kid tip: Mango, vanilla, sesame or plum ice cream is a sweet dessert. Happy-kid tip: Kids (and grown-ups) will love the house-made syrups for sodas, such as lemongrass and pomegranate. Follow with playtime at wonderful, woodsy, pesticide-free Meridian Playground a few blocks away (Seattle Tilth’s children’s garden is also housed there). Another solid spot for ramen, also in Wallingford, is Yoroshiku. With an open kitchen in the middle, Yoroshiku offers traditional ramen plus “tsukemen,” or dipping ramen, in which noodles get dipped into sauces rather than incorporated into broths. Not into ramen? There are all sorts of “izakaya,” or Japanese appetizers, from Zangi (fried, local free-range boneless chicken) to grilled rice balls. The service is always friendly here, and the place has a loyal following. Happy-kid tip: Finish up with one of several ice cream desserts or, perhaps, a green tea tiramisu. You can’t talk ramen in the Seattle area without mentioning Santouka in downtown Bellevue. The Japanese chain is acclaimed for its superb dishes and its service, hence the long lines. While the interior is a bit on the cold side, it’s clean, efficient and fast — perfect for families, in other words. The ramen here is probably the most authentic in the city (with pork bones simmered for 20 hours to make the soup base), so a visit to Santouka makes a good introduction to the cuisine for youngsters. Kid hits such as fried chicken, and pork and chicken pot stickers round out the menu. 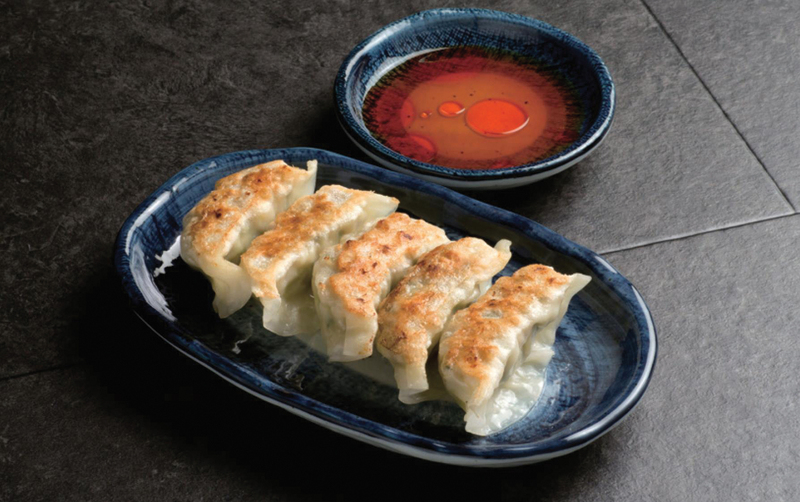 Happy-kid tip: Kids love combos such as a small ramen bowl with pot stickers. Bellevue Downtown Park — with an expanded, accessible new playground under construction now — is a just a soba throw away. Do you have an upcoming special occasion that warrants a culinary adventure? You can’t miss with Trove, a multiuse Capitol Hill eatery that is the brainchild of the owners of acclaimed restaurants Joule and Revel. A walk-up noodle bar offers a variety of Asian dishes fired before your eyes, spotlighting Korean flavors, new spins on pad Thai (Mexican chipotles, anyone?) and more. In Trove’s Korean BBQ section, sit at a table with a built-in grill, where you can sear towering meat platters with a variety of sauces, perfect for sharing. (It can accommodate parties up to 12 without reservations.) Kids will love the short ribs with mustard maple sauce and smoked brisket. Happy-kid tip: Belly up to the faux ice-cream-truck window to order the dessert of choice: parfait in a jar. Frozen custard in chocolate and vanilla is layered in glass jars with items such as caramelized pineapple, cherry whipped cream or peanut butter nougat. Who says noodles have to be Asian? At Spinasse’s open kitchen in Capitol Hill, kids can watch as cooks roll out the dough for noodles and cut them into various shapes. Not surprisingly, the most popular dish for adults, the Tajarin al Ragu o Burro e Salvia (hand-cut egg pasta with ragout or butter and sage), is also a hit with kids. The pasta is as thin and delicate as you’ll ever find, and it comes in portions both large ($25) and small ($14). The atmosphere is never stuffy, and the staff always welcomes children, encouraging them to watch the noodle making and even offering paper and crayons. Happy-kid tip: Taste farm-fresh ice cream at Kurt Farm Shop, just a few blocks away at the Chophouse Row complex. 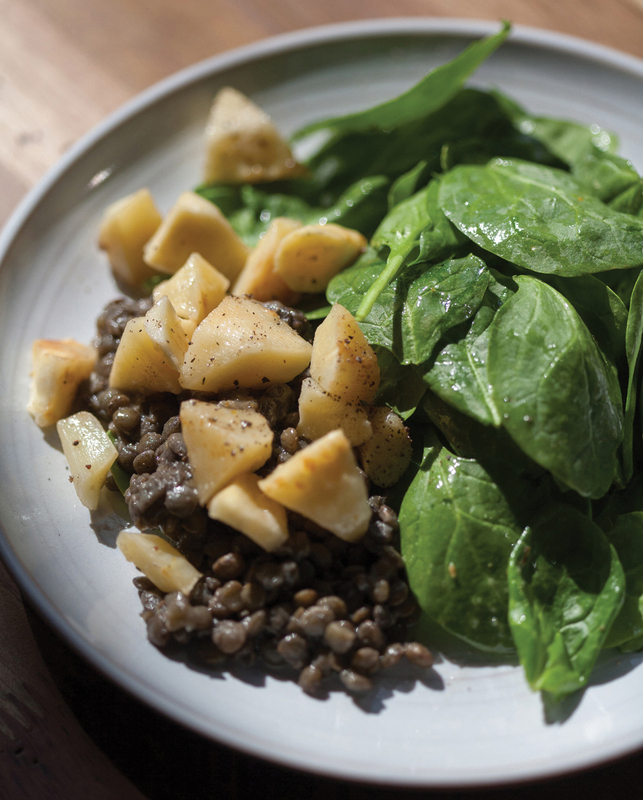 It takes guts to open a restaurant dedicated to one type of food. But Lisa Nakamura’s risky venture is a hit. The large, open space is minimalist and bright and feels like a family-friendly island among a sea of Capitol Hill’s hip bars and restaurants. Spacious booths allow a family to spread out and dive into gnocchi with a variety of sauces and add-ons, including meatballs and bacon crumbles. Adults can order from a nice selection of wine, beer and cider, while kids can get San Pellegrino fruit sodas. Happy-kid tip: For dessert, there’s a case full of D’Ambrosio gelato. Finish off with a browse at Elliott Bay Book Company, just a few blocks away. 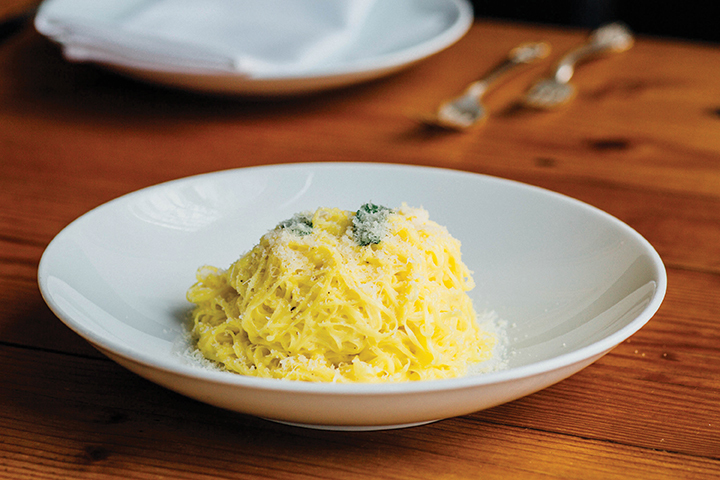 The interior of Ethan Stowell’s Belltown staple, Tavolàta, and its newer sister restuarant, Tavolàta Capitol Hill, might read sophisticated, but not to worry: The restaurants' servers are exceptionally welcoming to families, and the menu (pasta, natch) couldn’t be more kid-friendly. All pasta dishes are house made, and specialties include spicy rigatoni (my 8-year-old’s favorite), ravioli with brown butter and sage, papardelle with beef cheek ragout (basically Bolognese, so just don’t mention the cheek part if your kids are squeamish), and gnocchi with mozzarella and tomato. For a smaller group, grab a booth or, if you have a bigger crew, spread out at one of the large communal tables. Happy-kid tip: Don’t miss the warm lemon doughnuts with rich chocolate dipping sauce for dessert. For birthday parties, Tavolàta staff will light candles in a big bowl of them for you. Ramen can be confusing for first timers and certainly for kids. While the noodles typically don’t vary, the broths do — specifically, in the way they’re seasoned. Here are the four main types of ramen. And remember, no matter which you choose, slurping is encouraged! Tonkotsu: Probably the most popular and iconic ramen style, tonkotsu is made by simmering pork bones in water for over 20 hours, creating a rich broth distinguished by its slightly milky gleam. Shio: This broth is characterized by sea salt seasoning and actually is derived from Chinese-style soups. Shoyu: Shoyu is seasoned predominately with soy sauce, though you may also find it combined with tonkotsu. Miso: This broth is made with fermented soybean and rice malt and has a robust flavor that also takes on a somewhat creamy look.